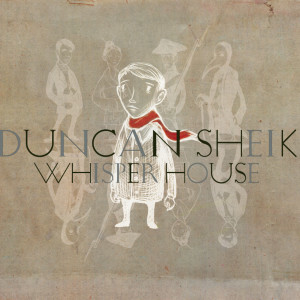 With his new album, Whisper House, Duncan Sheik combines elements of the gorgeously arranged chamber pop that first brought him critical and commercial acclaim with the narrative approach to songwriting that yielded him both a Tony Award® and a Grammy® for the Broadway hit Spring Awakening. Composed as a theatrical piece, Whisper House is – quite literally, at times – a haunting song cycle; Sheik relates a World War II-era tale of a child’s grief and spinster’s longing as seen through the eyes of the ghosts that invisibly occupy the remote Maine lighthouse where they live. Though structured as a melodrama, there’s a gentle, dreamy quality to the story; at times more lighthearted than portentous. Figuring out the plot is fun but not a requirement; above all, Whisper House serves as Duncan Sheik’s compelling new solo album. The idea for Whisper House came about when actor Keith Powell (30 Rock) approached Sheik about developing a musical theatre piece with him. Following a trip Powell took to New England, a story began to emerge centered around a lighthouse, and up-and-coming young playwright Kyle Jarrow, already an Obie winner for A Very Merry Unauthorized Children’s Scientology Pageant, signed on to create the book. During a writing retreat on an island off Charleston, SC, says Sheik, a native Southerner, “I had Kyle’s version of the script, and over ten days I wrote the lion’s share of the music. Charleston has this history of ghost stories, a southern tradition that I kind of grew up with. I reconnected with it in some way and used that to write the lyrics to these songs. I hadn’t written lyrics for a very long time; it had been almost three years. I had mostly been dealing with the work Stephen Sater [Spring Awakening lyricist] and I were doing. Sheik’s second-act triumph has been a unique combination of hard work and happenstance. He’d found receptive ears within the music biz from the moment he graduated Brown University in 1993 and headed to Los Angeles, with vague plans and a cassette full of demos. After he’d released his 1996 self-titled debut album, the handsome, 26 year-old Sheik was cast into the role of swoon-worthy pop star. An unusually erudite and emotionally intimate hit single, “Barely Breathing,” spent 55 weeks on Billboard’s Hot 100; only three other singles have ever topped that run. Sheik, a practicing Buddhist since his college days, met Steven Sater in 1999 at Soka Gakkai International, a lay Buddhist organization in New York City. Sater asked Sheik if he’d consider writing a song for a play he’d been working on. “Cut to a month and a half later,” Sheik recalls. “There is a stack of 35 lyrics that Steven, prolific workaholic that he is, has been faxing to me. So I would just write these songs with the lyrics he sent.” The result was Phantom Moon, released on Nonesuch in 2000. Phantom Moon remains essential listening for fans of Spring Awakening, since it sparked Sheik’s and Sater’s creative partnership. Spring Awakening, based on German playwright Frank Wedekind’s 1891 story, was developed through years of workshops, from the Sundance Theatre Lab to New York City’s Roundabout Theatre. An off-Broadway run at the Atlantic Theatre Company in the spring of ’06 garnered good reviews and even better word-of-mouth, leading to sell-out performances. In August of that year, Sheik and Sater learned the show would be moving to Broadway, where it opened, after further revisions and preview performances, on December 10, 2006. The New York Times led the raves. Sheik later won two Tony Awards® of his own, as composer and arranger, and Spring Awakening was named Best Musical. 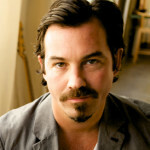 For information on Duncan Sheik visit www.duncansheik.com.